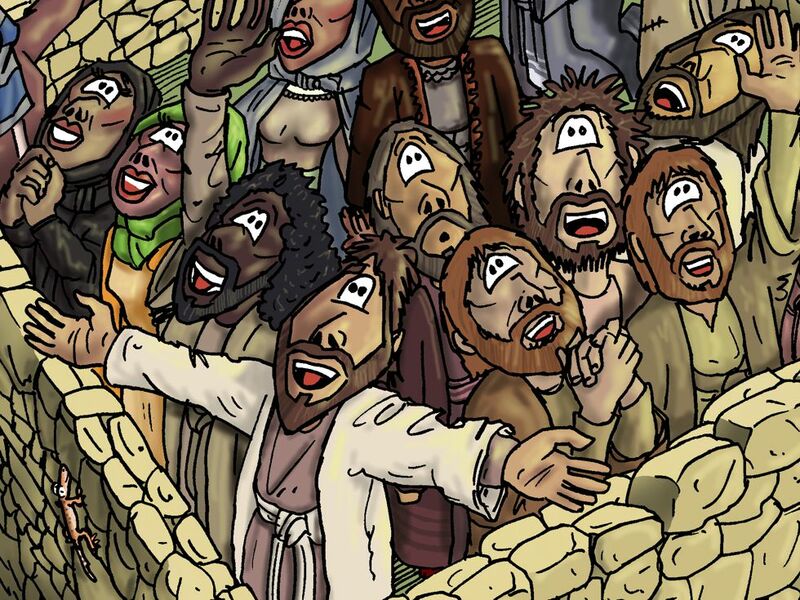 Here’s my latest cartoon illustration, which is taken from the book of Acts, chapter 02, in the New Testament. 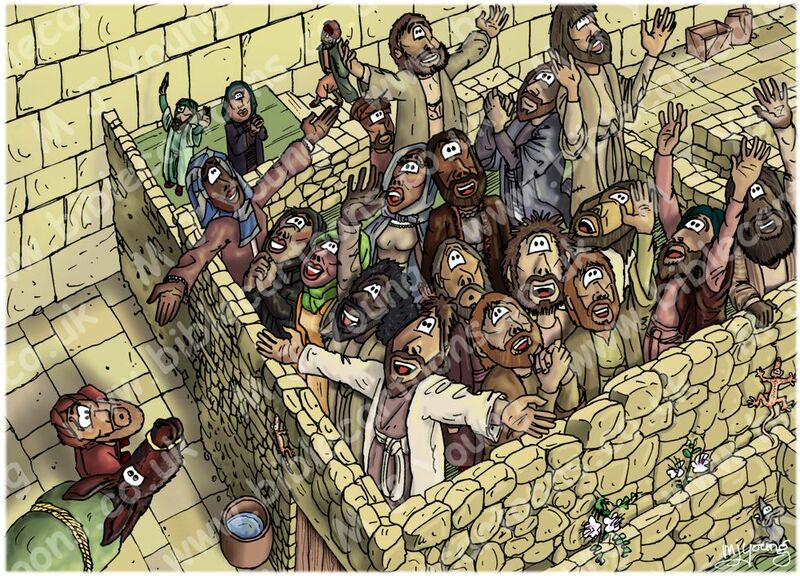 The scene is called “Acts 02 – Pentecost – scene 04 – Languages” & shows the Apostles & disciples (of Jesus) all running up onto the roof of the house there were meeting in. A few seconds ago they experienced the arrival of the Holy Spirit, in the form of what looked like tongues of flame, alighting on everyone’s head. I wanted the group of early Christians to be up on the roof, to explain how everyone in the streets below could have heard the various different languages that they uttered. 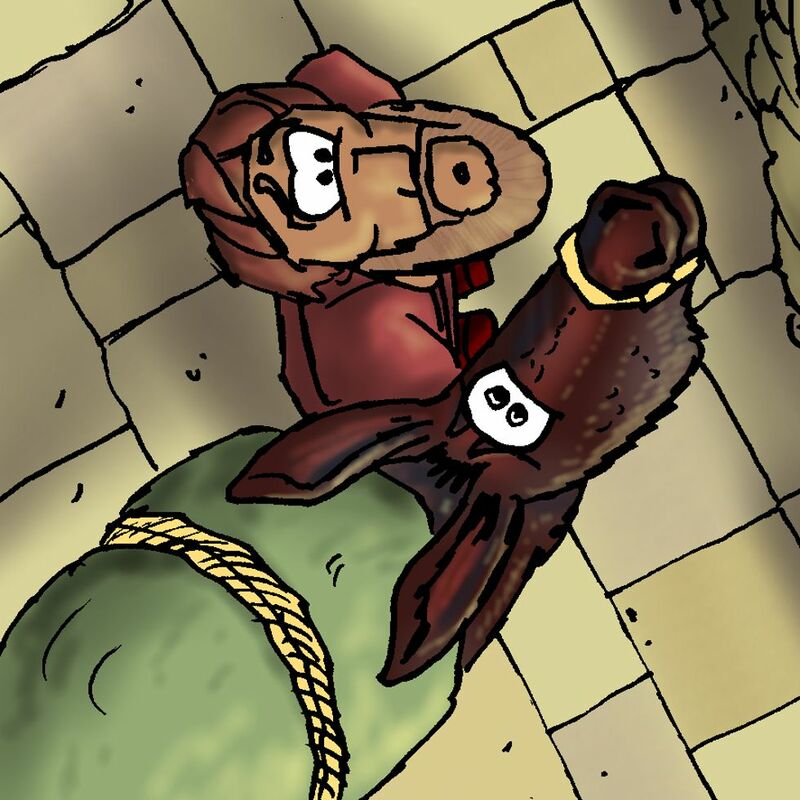 Showing a close-up of the donkey & it’s owner, in the street below, looking up in surprise & wonder! Showing a close-up of some of the Apostle’s expressions. 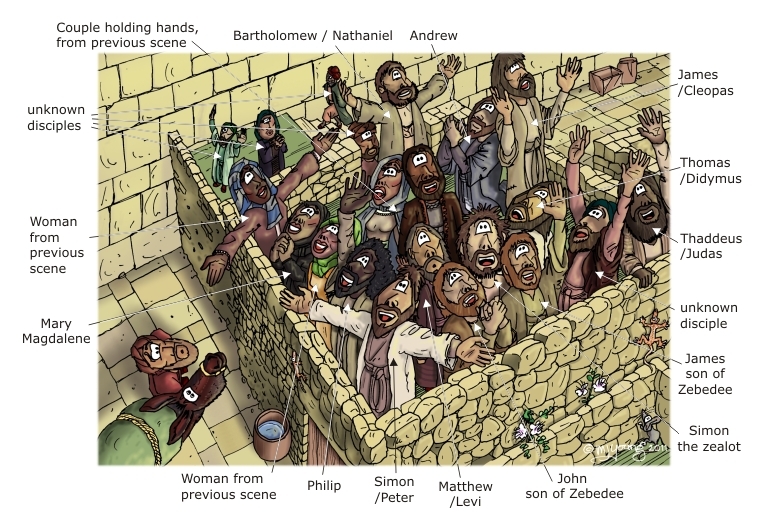 Showing a labelled version of this scene, indicating which character is which.